in front of their dugout (photo courtesy of New York Daily News). During Tuesday night’s All-Star Game, fans across baseball experienced one of the classic moments this game has to offer. Once again, Major League Baseball got it right. When the bottom of the eighth inning rolled around, American League manager Jim Leyland decided to go ahead with Yankee closer Mariano Rivera in a 3-0 game. The Citi Field sound system began playing Metallica’s “Enter Sandman,” as the one they call “Mo” made his way from the bullpen toward the pitcher’s mound. He was the only one on the field for roughly the next five minutes. 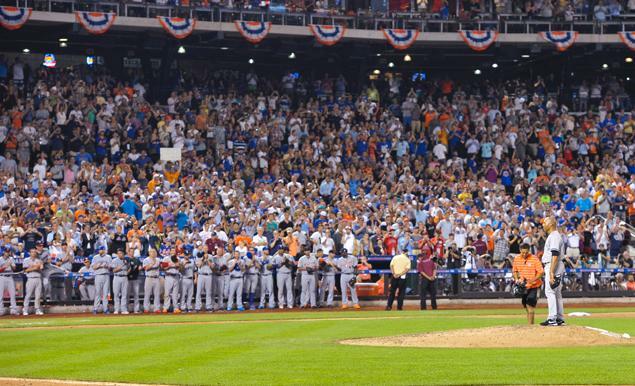 Players from both teams stood in their respective dugouts and allowed Rivera to take the field at the All-Star Game alone for his final appearance as a player. Everybody stood and the longest ovation of the week ensued. (photo courtesy of USA Today). It was one of those moments that no matter what team you pledge your allegiance to, you had to love it. 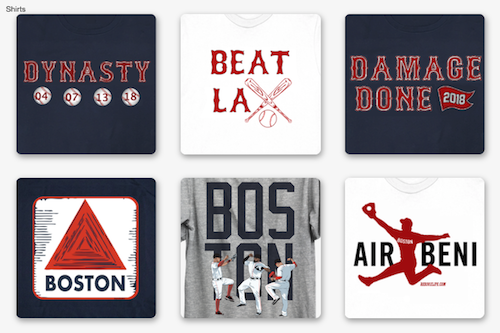 As Red Sox fans, our fondest memories include Rivera, from the game-winning home run by Bill Mueller off Rivera to Dave Roberts’ steal of second in the ninth inning of Game 4 of the ALCS in 2004. Heck, we gave him a big ovation on Ring Day in 2005. And he took it like a gentleman would. 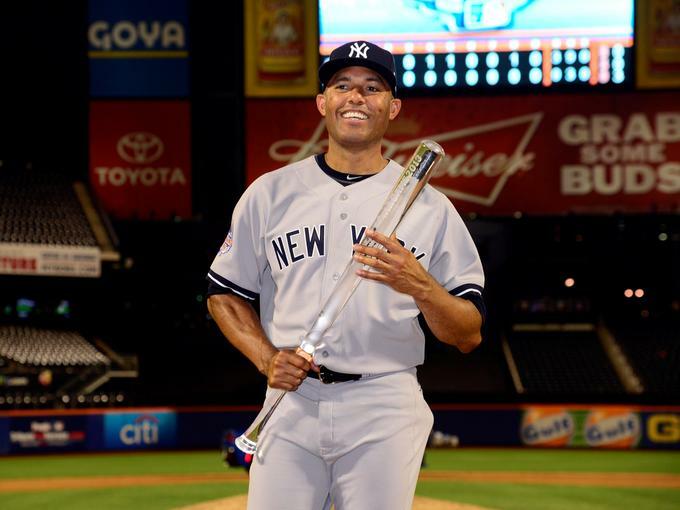 After the game, Rivera was awarded the Ted Williams All-Star Game MVP Award. Rivera may not necessarily have been deserving of the award last night, pitching a 1-2-3 eighth. 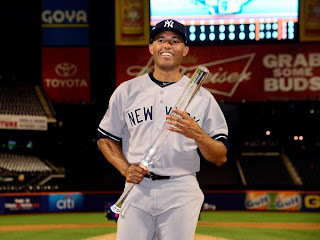 But it's hard to argue giving the trophy as a career-achievement award to the best closer in baseball. What he's done for the game and as a player is very deserving. That’s the beauty of baseball. This is what is right in this game. This is what is right in this world. We can hate the Yankees organization, their fans, their stadium and the majority of their players. 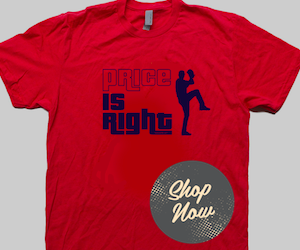 But as Red Sox fans, we know a legend when we see one. All I could think about last night was we were watching a smaller version of the pregame ceremony at the 1999 All-Star Game at Fenway Park. Instead of having all the game’s legends who had played their final game many years before, last night featured one of the only legends currently playing.